A few weeks ago there was a recipe in the newspaper for a lentil salad that I thought sounded tasty. I made a few modifications to suit our family's needs, and it turned out delicious! Bring lentils and 4 cups broth to a boil. Reduce heat and simmer 25 minutes. Keep an eye on them - if they simmer dry add extra broth. Drain and set aside. Saute onion, celery, and carrot in 1 tbsp oil over medium heat until almost tender. Add bell pepper and saute until all veggies are slightly tender. Stir in lentils. Cool. Stir in remaining ingredients. Serve immediately or chill to serve. Goat cheese would also be excellent in this instead of the feta. We ate it as a main dish, but you could also have it as a side dish if you wanted. Readers, do you like lentils? I know some people don't care for them much, but I've found them to be very good with the right seasonings. This sounds delicious. John and I will love this. Hope you have a nice day. We love lentils here; one of our favourite dishes is sauteed chicken or turkey sausage and greens over lentils. This dish sounds wonderful and we'll be giving it a try! This really looks wonderful! I am going to have to try it. This sounds really yummy! We make a black bean salad that we eat for a main dish as well. I think I will be trying this soon! Always looking for new vegetarian recipes. Yummy!!! I bet quinoa could be added to. I love lentils! This sounds and looks delicious. I think Larry would like it too. I know I would love that salad... I would of course have to change some things. Looks very tasty. What's up with the comment moderation, have you been getting spam comments? Forget my comment moderation comment, I got confused for a bit. You have always had it. This sounds good! Thanks for sharing it. Seems healthy, too. Yum! That looks really tasty, Lisa. I love that you share your recipes! Yum, Lisa! That looks super tasty! Looks delicious! My kind of dish. I do like lentils, but I've tried eating them several times now and I always get the worst stomach cramps afterwards! Refreshing salad, and very healthy.I have tried pink and brown lentils both. Lisa this will be one I will try... something different. Thanks for the share! oh Lisa! I love lentils. Thank you. I don't cook but my HM would be very interested in this. We have similar food likes or dislikes, but my HM is great at fixing EVERYTHING. We love all the ingredients. Can you believe that I like lentils too! Sounds yummy and lots of healthy ingredients in it! I'm not sure I've ever had lentils. No beets! 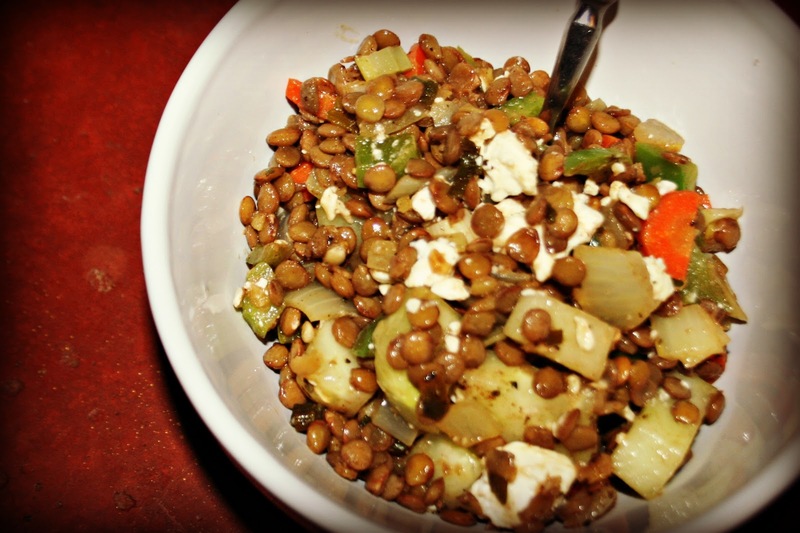 !I love lentils so I will be trying this for sure. I just bought some lentils and want to make this soon.